Seven Sisters Inn Bed and Breakfast in Ocala Florida. 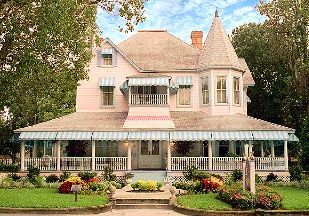 The Seven Sisters Inn Bed and Breakfast in Ocala, FL is a Queen Anne style Victorian house, restored to its original elegance, with beautiful period furnishings. Built in 1888, this Queen Anne style Victorian house has been lovingly restored to its original stately elegance, with beautiful period furnishings.